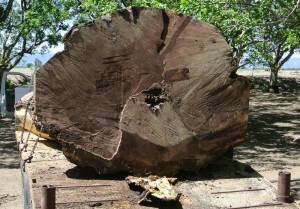 You are here: Home / The Hunski Experience / Hunski Hardwoods Reclaims an 8ft Wide by 8ft Long Black Walnut Tree! 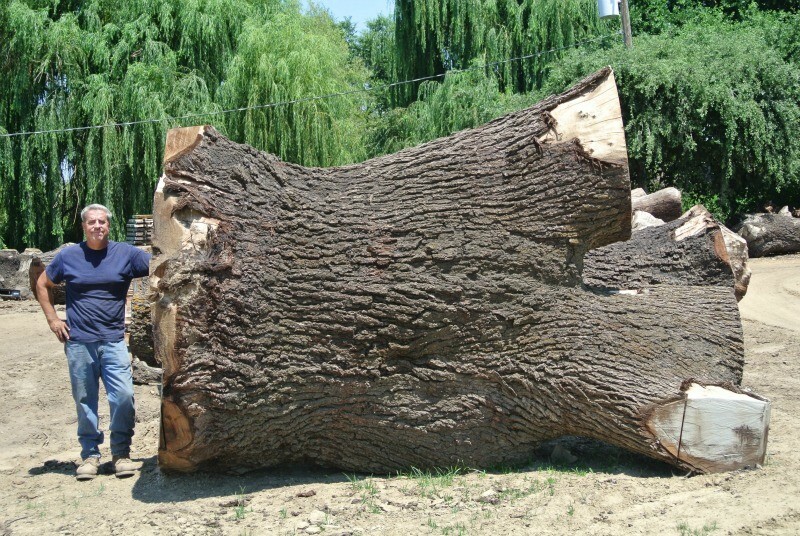 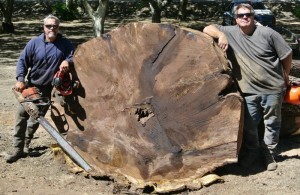 Hunski Hardwoods Reclaims an 8ft Wide by 8ft Long Black Walnut Tree! This massive Black Walnut tree was planted between a house and a barn approximately 100+ years ago. Throughout the years it grew to be very large and its branches spread over the barn and house. This became a problem when some branches began to die and fall on the house and the ground around the house. 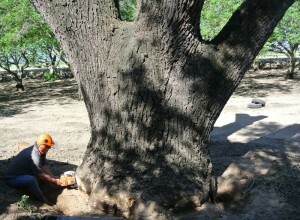 It was very much a hazard to the home owners, so they had us remove the tree for them. 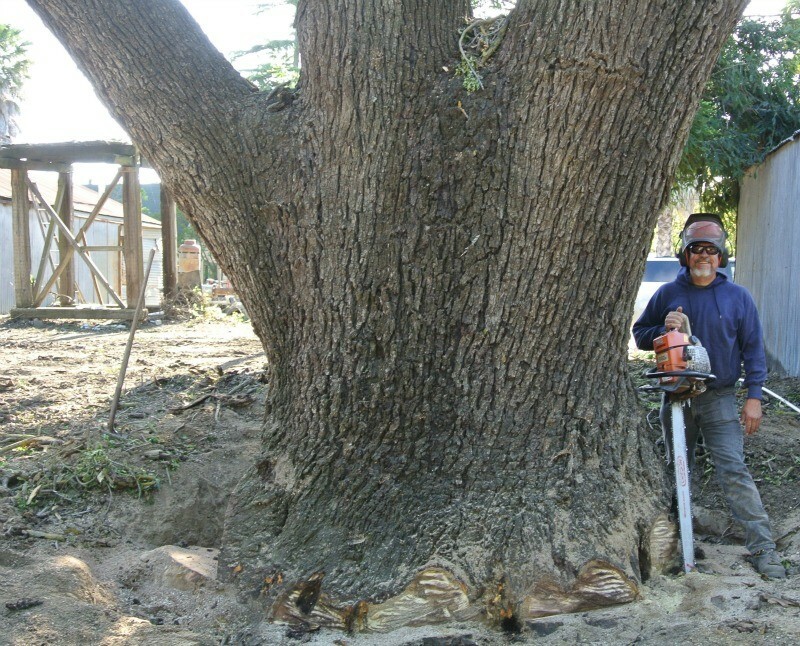 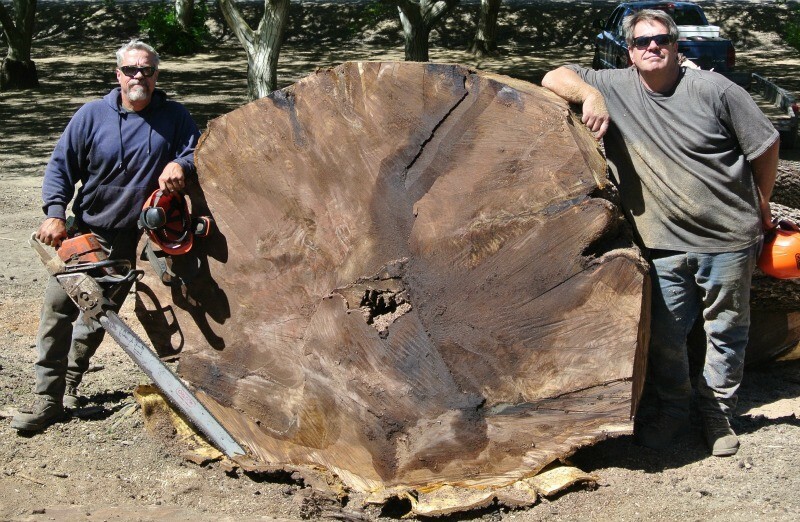 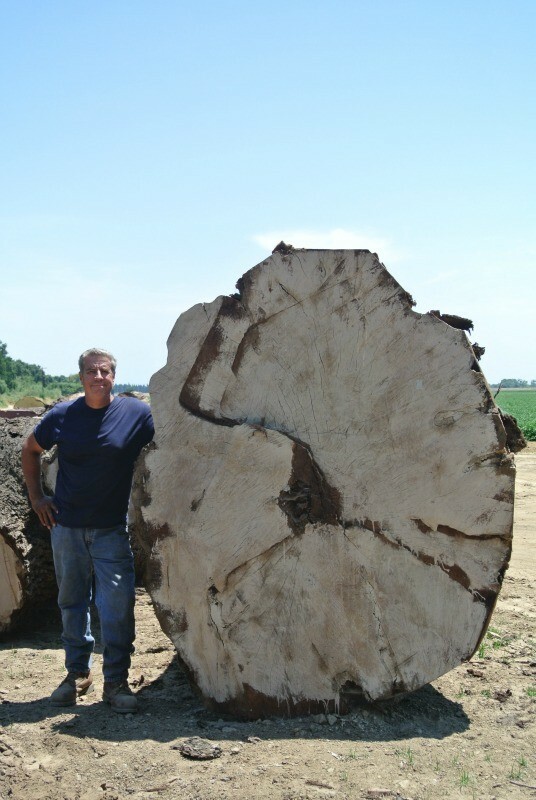 It was an honor to reclaim such a beautiful tree and it will live on when we mill it into slabs, in house on our 9ft dedicated slabber lucas mill. 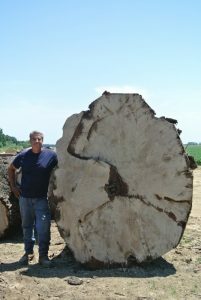 The tree is 8ft long by 8ft wide.